Elkhorn was originally founded by Charles and Edith Jeannette Baehr in the early 1960s as Elkhorn Lake Shooting Park, Inc. They, with their children Mike and Charlene, raised up to 25,000 pheasants annually . 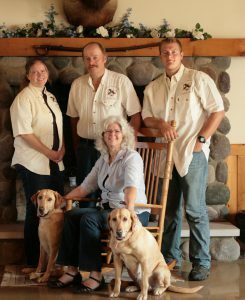 Sam and Peg Ballou moved to the farm in 1984, with Chuck and Sam becoming partners as Elkhorn Farms shortly after. 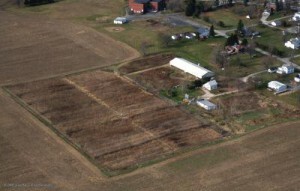 The first breeder flock was kept in 1985 and the pheasant hatchery was built in 1986, adding a whole new dimension. Charles and Jeannette retired to Florida in the ’90s, and the transfer of the business and property was completed in 2003. Chuck and Jeannette passed on in 2012, and 2013, respectively. Elkhorn Farms & Hatchery, Inc. hatched around 550,000 chicks last year, shipping all over the United States and raised approximately 80,000 pheasants to adulthood/partial adulthood for use on our Elkhorn Lake Hunt Club, or for sale to other farms and hunt clubs. 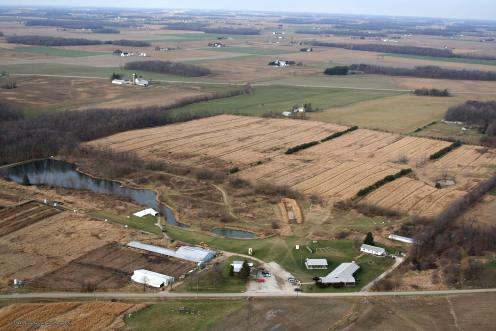 Elkhorn Farms now consists of three farms northeast of Bucyrus, Ohio We don’t want to be the largest producer in the US, but we want to do our best, providing hearty, healthy stock for our clients. We are NPIP certified clean for AI and other poultry diseases. Sam and Peg both serve on the national board of the North American Gamebird Association, as well as being involved in numerous organizations such as the NRA, NWTF, NWTF, etc. He and Peg have homeschooled six children, now grown. Ruth (Malpas) and Samuel remain with the business. If you connect to the answering machine, please leave a message and we will return your call as soon as possible. We check our email regularly, but if you don’t get an answer within 24 hours, please use more traditional means of contact. Please don’t use email for time-sensitive messages. “What are feed prices going to do?”According to all reports, feed prices will continue their upward spiral to a cost-effectiveness ceiling. Biofuel-use of corn and soybeans – will limit availability of those grains. Therefore, price your birds accordingly. While there are always those who will cut prices to try to steal your customers, set your prices fairly and use good quality feeds to produce good flying birds, to maintain a quality game bird and your reputation as a quality producer. Elkhorn Farms adheres to the NAGA Standard of Ethics. See the appropriate page to examine that standard. “How do we fight the antis?”By joining together, fighting the opposition and ignorance, we can continue our hunting heritage. NAGA, The Sportsmen’s Alliance, the NRA and other fine organizations keep us posted on issues to address. Join today! www.mynaga.org”How do we fight the antis?” will continue to be an issue as long as the anti-hunters and anti-animal use activists work to close us down. They use buzzwords that paint us in a dreadful light. Who wouldn’t want to oppose “puppy mills”, “live target practice” or “high fence hunting?” But honestly, would you want elk or wild boar running through your back yard? Or have your dog reproduction regulated? Or have your business mandated out of existence by the emotional connotations suggested by these terms? Word usage and image control is crucial today. We need to be as alert as possible concerning how our practices affect the impressionable public and portray the whole industry to voters.It came to our attention that the Humane Society of the US misquoted us concerning Priority Mail shipments and mortality in their recent publication about gamebird release. Please note that we encourage timely shipment of our birds through the use of Express Mail, and we have had very few claims using this method—only TWO claims in 2007, only one in 2009! Unfortunately, anything you say can and will be used against you by unethical anti-gunners, showing once again how we need to bond together to continue our hunting heritage and game bird industry. So few understand the radical nature of the HSUS who fund NO animal shelters, but instead use their political deception to seek legislation against those of us who raise animals for their intended use. This is a pivotal time to be involved in the North American Gamebird Association. If you are not already, please consider becoming an NAGA member. NAGA produces a game bird growers directory, a newsletter and represents us with legal and political clout in issues like postal shipping, range and right-to-operate issues. You really can’t afford NOT to be a member. Please join and plan on attending NAGA events like the annual convention. Visit www.mynaga.org for additional information.